Although today’s Italian marines trace their unofficial lineage back to the 16th century Fanti da Mar of the old Republic of Venice, the modern unit that houses them has a history somewhat newer. Formed from the old Great War-era Naval Brigade which saw much service along the Piave River, the Battaglione San Marco was established at the Piazza San Marco in Venice– to keep the tradition alive– on 17 March 1919. Interestingly, the motto of the regiment, “Per mare, per terram” (By sea, by land), is the same as the British Royal Marines. Now a 1,500-man brigade, the San Marcos conducted amphibious landings in Yugoslavia in 1941, trained to storm Malta (Operazione C.3) then went on to fight at Tobruk and Tunisia as one of the best Italian combat units of WWII. Post-war, they were reformed and went on to serve on UN duty in Lebanon and elsewhere. Last week saw a celebration of their 100th anniversary, held, like the first, in the Piazza San Marco. 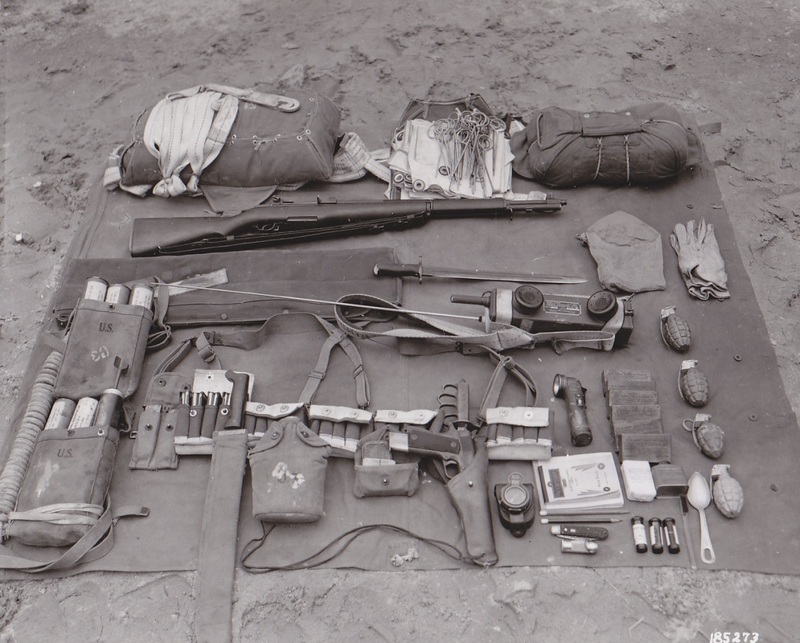 The original grey uniforms and Carcano 91s. It’s odd to find a submarine or a minesweeper out on the Great Plains but such an example exists at Omaha, Nebraska’s Freedom Park which has long had custody over the old WWII-era (3 Battle Stars) Admirable-class minesweeper USS Hazard (AM-240) and the downright cute Cold War-era T-1-class training submarine USS Marlin (SST-2) since 1971 and 1974, respectively. Here we see the Hamilton-class U.S. Coast Guard Cutter Dallas (WHEC-716) as she escorts the motor vessel BBC Spain. Aboard Spain‘s deck are a quartet of USCG 110-foot Island-class patrol boats headed via the Mediterranean and Suez for deployment to the Persian Gulf, March 19, 2003. While Dallas was stricken and transferred to the Philippines in 2012– where she continues to serve in a haze gray scheme as BRP Ramon Alcaraz (FF-16)— and BBC Spain is now the Russian-flagged cargo vessel S. Kuznetsov — those four patrol boats are still under the same flag in the Persian Gulf, clocking in. USCG Patrol Forces Southwest Asia (PATFORSWA), established in 2002 in support of Operation Iraqi Freedom, is the Coast Guard’s largest unit outside of the U.S. The original four WPBs shown above on Spain— Adak, Aquidneck, Baranof, and Wrangell– were joined by Monomoy and Maui in May 2004 bringing the number of 110s in the Arabian Gulf to six. The Navy likes to use the Coast Guard’s small patrol boats (110s/87s) in confined littoral areas as the coasties have them while the Navy simply doesn’t. After all, why risk a $1 billion destroyer with a 300-man crew when the USCG has an $8 million patrol boat with a 22-man crew that can get in closer and already has hundreds of (often high-risk) boardings under their belt before they rotate into the Gulf. Plus (and this is just my humble opinion) it would look worse if the Iranians shoot up a white hulled coastie than a haze gray warship. I mean these are lifesavers here. They did the same thing in Vietnam when some 26 82-foot Point-class cutters served as an assembled Patrol Squadron off the South Vietnamese coast from 1965 to 1970. Since 2002, the Coast Guard has forward deployed six of their WPBs to Manama, Bahrain to serve in the Persian Gulf littoral. After all these boats can stay at sea for a week at a time, have a cutter boat, a decent surface search radar, can make 29-knots, and float in just 7 feet of seawater– which the Big Blue has a hard time pulling off. The force is very active, typically having 3-4 patrol boats underway in the Gulf at any given time looking for pirates, smugglers, terrorists out to pull off another USS Cole-style attack, and, well, the Iranians. USCGC Monomoy in the PG, looking a bit more hard-ridden and heavily armed. Whereas normally Island-class cutters deploy stateside with a 16 man (2 officer/14 enlisted) crew, those that are part of PATFORSWA typically run with a 22 person complement (3 officers/19 enlisted) as they conduct more high-risk boardings and have an increased ship’s battery. The stateside armament suite of a 110 is a 25mm Mk38 chain-gun (which is usually covered) and two single M2 .50-cal BMGs (which often are locked up below in the armory) plus a thin smattering of small arms. Those cutters in the Gulf still use the 25mm (usually very much uncovered and loaded, ready to go) and up to five mounts for Mk19 Grenade launchers and *twin* M2’s for quite a bit more punch against boghammars and armed dhows if needed. Likewise, there are more M4s, Remmy 870s, hard plate body armor and Sig P229Rs on these forward-deployed ships than one that is poking around the Outer Banks. Nevertheless, they still keep the same traditional white hull and red racing stripe, but with the welcome addition of a deck canopy to keep that Persian Gulf sun at bay and the non-skid from heating up to waffle-iron temperatures. NORTH ARABIAN GULF–U.S. Coast Guard Cutter Maui (WPB 1304) is on standby as the Close Support Vessel during a security boarding in the North Arabian Gulf, Aug. 11. U.S. Coast Guard photo by Ltjg. Peter Lang. Here we see one Walther Gerhold, a smiling young sailor just past his 23rd birthday in August 1944. Note his Marine-Schreiber (yeoman) rate, Matrosenobergefreiter rank (roughly equivalent to E4 or Petty Officer Third Class) Zerstörerkriegsabzeichen (Destroyer War Badge issued 24.12.42 along with his original Iron Cross II. Class) and, around his neck, a newly-awarded Knight’s Cross. Our good Schreibobergefreiter had just been decorated for single-handedly depriving the Allies of one, albeit well-used, light cruiser off the Normandy coast, a feat that led to his Ritterkreuz. Gerhold joined the Kriegsmarine on 16 October 1940 and served as a yeoman in administrative tasks in various torpedo boat units, seeing a share of hot action on T 111 and T 20 which resulted in an EAK as well as a bonus fractured collarbone that sidelined him to shore duty in late 1943 at the Baltic seacoast base at Heiligenhafen. Ready to get back into something other than pushing paper, in early 1944 he volunteered for a new force then being assembled from across the German Navy, the Kleinkampfverbänden der Kriegsmarine (Small Combat Units of the Navy). The group was to contain some 794 officers and 16,608 NCOs and men, although throughout 1944-45 fewer than 10,000 passed through the ranks of the organization. With Germany largely out of the large surface combatant business, these men would take a page from the operations of the Italians and Japanese and become combat divers and operate such desperate weapons as midget submarines (Seehund, Hecht, Biber, Molch); motorboats filled with explosives (Linse), and manned torpedoes. To inspire the troops, a series of Kampfabzeichen der Kleinkampfmittel badges were created in seven different grades and clasps for service in the unit, all featuring a sawfish. The first such German-produced manned torpedo was inventor Richard Mohr’s’ idea to take a pair of electrically driven G7e torpedoes and make a stand-alone weapon system from them. The 533mm G7e could run at a speed of 30 knots for 7.5kms on its Siemens AEG-AV 76 9 kW DC electric motor and 52-cell battery. By using one “war shot” torp filled with 616-pounds of Schießwolle 36 high explosive, the top-mounted fish of the pair ditched the warhead for a tiny cockpit for a human operator who could squeeze into the body of the 21-inch-wide torpedo. With the motor of the top “mother” torpedo adjusted to run at a more economical rate, the battery would last long enough to give the contraption a theoretical 40-ish mile range at 3.2- to 4.5-knots. The device, branded the Neger (partially a racist take on Mohr’s last name and partially because the craft were painted in a matte black finish), the volunteer pilot would be shoehorned into the driver’s seat of his one-man semi-submersible (the vessel would run awash and could not fully submerge on purpose) and a plexiglass dome bolted closed over his head from the outside. Effectively trapped inside their bubble with no way to get out, it was estimated that as much as 80 percent of Negerpiloten were lost in missions, mostly due to suffocation. Navigation instruments were nil other than a compass, and the weapon was aimed by lining up a mark on the tip of the craft with the general direction of the target. Due to their low vantage point in the water, operators could typically see less than two miles. 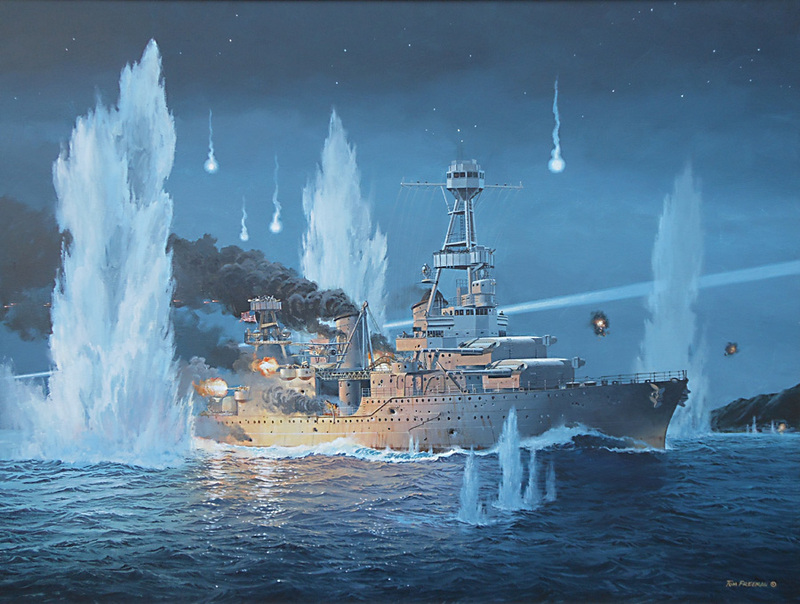 The concept of their use, owing to their low-speed, poor operator visibility and total lack of protection, was that the weapons were to be used in large flotillas– with several dozen common in one mission– and at night, which further reduced the range of the pilot’s Mark I eyeballs. Once lined up on target, a mechanical lever would (hopefully) release the underslung war shot G7e for its moment and book it for home before the sun came up. In March 1944, the first trial copy of Mohr’s double-torpedo was ready for trials carried out by veteran U-boat ace Oberleutnant Johann Otto Krieg who was not impressed. Nonetheless, the device was put into rapid production and the first combat unit– to be commanded by the unfortunate Krieg– was stood up as K-Flottille 361. Consisting largely of desk types (see Gerhold) and some rear echelon Army troops, 40 volunteer pilots and some 160 support crew were hastily trained. On the night of 19/20 April, a group of 37 Neger operating from Nettuno on the Italian coast was released to attack Allied ships at the Anzio beachhead. None of the Negerpiloten in the sortie released his torpedo. Three of the devices were lost. Worse, a fully-intact model washed up to fall into American hands. Shifting operations to Favrol Woods (west of Honfleur) in Normandy by train just after the D-Day invasion, on the night of 5/6 July a force of 24 Negers sortied out against the Mulberry Harbors defense line. The result was much better than at Anzio. The 1,400-ton Captain-class frigate HMS Trollope (K575) has hit near Arromanches at about 0130 on 6 July and later written off. Some sources put this on Gerhold while others attribute the attack to a German E-boat. What is known for sure is that about an hour later the manned torpedoes sank the two Catherine/Auk-class minesweepers HMS Magic (J 400) and HMS Cato (J 16), with Cato stricken while responding to Magic‘s distress. Not to be outdone, on the clear moonlit night of July 7/8, K-Flottille 361 managed to muster 21 Neger boats for a repeat attack. During the action, the Auk-class minesweeper HMS Pylades (J 401) was sunk and 4,300-ton Free Polish cruiser ORP Dragon (D 46)-– formerly the RN’s Danae-class cruiser HMS Dragon, launched in 1917– so extensively damaged that she was written off and used as a breakwater for Mulberry. While Gerhold was given credit for the destruction of Dragon at the time by the Germans, 19-year-old Midshipman Karl-Heinz Potthast, captured in the aftermath of the attack and placed in a British POW camp, has subsequently been credited by most with the damage inflicted to the aging warship. On the way back to their base, the Negers, running high in the water without their torpedoes, bumped into a group of well-armed and much more maneuverable British Motor Torpedo Boats. In the light of the cloudless full moon, their plastic bubble cockpits glowed like a beacon on the surface of the sea and it was easy pickings. 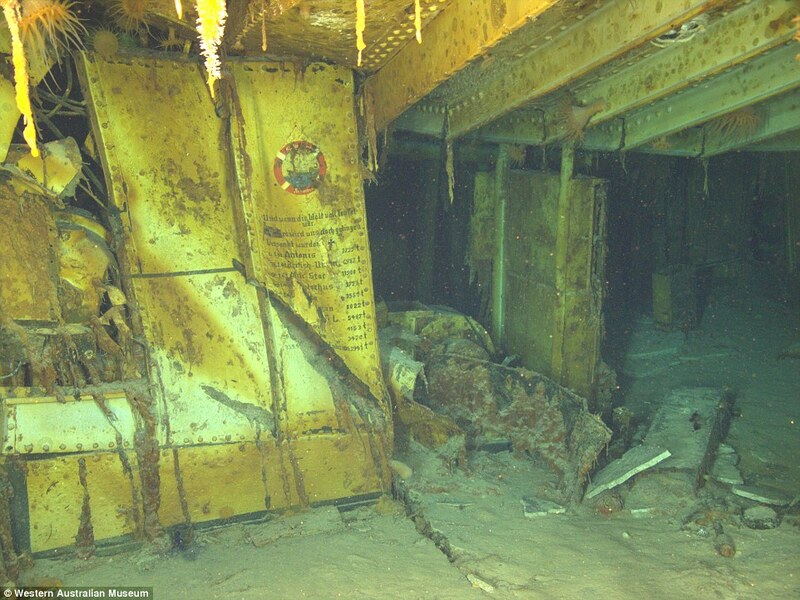 Although the HMC MTB-463 was lost to what was thought to be a mine during the brawl, just nine manned torpedoes made it back to be recovered by Germans. Gerhold, tossed around by the explosions and in a leaky craft filled with stale air, sea water, oil slick, toxic battery fumes and human waste (there was no head on board, after all), was picked up from the water near Honfleur by ‘Heer soldiers, his device’s power supply exhausted. Note the rubber outer suit, wool inner suit, headgear and Draeger rebreather. The later Marder type human torpedo allowed the pilot to open his own canopy from inside. How innovative! -Some sources attribute the sinking of the 1,800-ton I-class destroyer HMS Isis (D87) on 20 July off Normandy to K-Flottille 361 torpedoes, although it was more likely to have come from a mine. -The 1,300-ton Hunt-class destroyer HMS Quorn (L66), sunk 3 August, succumbed to a human torpedo during a combined attack on the lone British tin can by a determined force of E-boats, Linse explosive motorboats, Einmann-torpedoes, and aircraft. -On the same night, the 7,000-ton British EC2-S-C1 class Liberty ship SS Samlong was hit by a torpedo purposed to have been fired by KF-361 pilot Oberfernschreibmeister (telegraph operator) Herbert Berrer. German records say “Berrer sank on 3.8.44 in the Seine Bay with a one-man torpedo despite strong enemy security a fully loaded 10,000-ton freighter. Already on 20.4.44 Berrer sunk in front of the landing head in Nettuno another enemy ship [which was false].” Samlong was written off as the victim of a mine. -Further up the coast, off Ostend, the Isles-class armed trawler HMS Colsay (T 384) met with a Neger on 2 November and was sent to the bottom. For the survivors, in a Germany faced with the prospect of the Allies just months away from Berlin and no news to report, it was decoration time. Most of the pilots were given the EAK II, while two– “cruiser killer” Gerhold “freighter buster” Berrer– were given Knights’ Crosses in a ceremony attended by none other than K-Verbande commander VADM Hellmuth Heye and Kriegsmarine boss Adm. Karl Dönitz himself in August. Oberleutnant Johann Krieg, 361’s skipper, was also given a Knights Cross. The presentation of the Knight’s Cross was made by Konteradmiral Hellmuth Heye. Adm Karl Donitz 7th in the second row and a glum Adm Hellmuth Heye 1st from the left second row, surrounded by German K-fighters. Note Walther Gerhold to Donitz’s left. The awards were important in the terms of recognition for the downright insane task the manned torpedo pilots accepted. Less than 600 Ritterkreuz were issued by the Germans in WWII, many posthumously. Only 318 of these went to the Kriegsmarine, almost all successful U-boat/destroyer/S-boat commanders and senior officers killed in battle. In fact, just three enlisted sailors picked up the decoration besides Berrer and Gerhold– Bootsmannsmaat Karl Jörß who commanded a flak team on a bunch of crazy F-lighter ops in the Med in 1943 and had already received two iron crosses, lead machinist Heinrich Praßdorf who saved submarine U-1203, and Oberbootsmannsmaat Rudolf Mühlbauer who did the same on U-123. As such, the decorations and deeds of K.361 spread wide across what was left of the Reich. In all, just 200~ Negers were made, and most that got operational did so on one-way trips. An advanced version, the upgraded Marder (Marten), capable of diving to 90 feet, was produced to replace the more beta version of a human torpedo that was the Neger, was fielded. Two Marder-equipped K-Verband units in the Med, K-Flottille 363 and 364, tried to give the Allies grief from August- December 1944 but wound up losing almost all their craft with nothing to show for it. The Marder’s controls were luxurious compared to the Neger. Still, not even enough room for a sandwich and a dual purpose bottle of schnapps. Good thing a few tabs of Pervitin or “Panzerschokolade” doesn’t take up a lot of space! K-Verbande attacks got even more desperate in the final months of the war, with victories even slimmer. While midget subs like the Molch and Seehund were built in larger numbers, they never had much luck operationally. Overall, it could be argued that the Einmann boots of K.361 were the most effective fielded by the force. Of the five K-fighters who received Knights Crosses, three were part of Kleinkampf-flottille 361. In the end, these naval commandos and their all-guts David vs Goliath style operations earned the Kriegsmarine, long the redheaded stepchild to the Luftwaffe, Wehrmacht, and Waffen-SS as seen by the Chancellery, a bit of redemption. In one of the final acts of the war, Hitler ordered Donitz to form a bodyguard for him drawn from K-units due to his distrust of the SS Leibstandarte. The company-sized force never made it to the bunker in Berlin as there was no safe place for them to land. They later surrendered with Donitz, who had inherited the role of President of Germany, at the Naval Academy at Mürwik in May. Post-war, dozens of the German human torpedoes were captured, but few retained. One on display at the Verkehrsmuseum in Speyer, Germany. Further, the craft have been the subject of numerous scale models. Of the men behind the devices, K.361 commander Johann Krieg was wounded in the last days of the war and captured by the British. He later joined the West German federal navy (Bundesmarine) in 1956 and retired from the Ministry of Defense in 1975 with the rank of Fregattenkapitän. He died in 1999. Midshipman Karl-Heinz Potthast, the battered young man who is today usually credited with the hit on ORP/HMS Dragon, made numerous connections in England while a POW and returned to his studies in Germany post-war. Later, he became a noted historian and educational theorist, earning the Bundesverdienstkreuz from the Bonn government in 1985 for special achievements in the spiritual field. He died in 2011. Gerhold, after he picked up his Knights Cross, managed a transfer to Norway and resumed his life as a yeoman with a promotion to Schreibermaat, having had enough of the torpedo biz. He was repatriated home in June 1945 and later, living in Westphalia, became a police officer. He often autographed a number of period “Einmann-Torpedo!” postcards and magazine articles for collectors and was active in veteran’s groups. As for the debate between whether he crippled Dragon or it was the work of Potthast, camps are divided and Gerhold largely took credit for sinking HMS Trollope. He died in 2013. As far as a legacy, today Germany’s Minensuchgeschwader/Minentaucher, coastal mine warfare units, still carry the swordfish logo of the K-Verbande units. With the thousands of mines still bobbing around in the Baltic and the North Sea, they are very active. Likewise, Draeger-equipped Kampfschwimmer frogmen of the German Navy’s Kommando Spezialkräfte Marine (KSM) carry the lineage of the old K-fighters as well—and still get lots of work with mini-subs and the like. Machinery: AEG-AV 76 Electric motor 9kW, 52-cell battery. Range: 40~ nm at 4 knots.